You are here :	Home | Waste & Recycling | Household Waste Recycling Centre | What can be recycled at HWRC? Crisp packets - recycle all brands of crisp packets at the collection point provided in partnership with Terracycle. We do not accept popcorn bags, crisp tubes, pretzel bags or meat snack bags. Paint - if can be re-used consider offering it on Freecycle or keep it safe and sealed for use in your home. If paint is no longer suitable for use we may be able to accept for recycling by specialist companies, please ask site staff. Empty metal paint tins can be placed into scrap metal skip. Pet food packaging - recycle all brands of empty plastic pet food pouches, pet treat packets and dry pet food packaging in the collection bin provided in partnership with Terracycle UK. 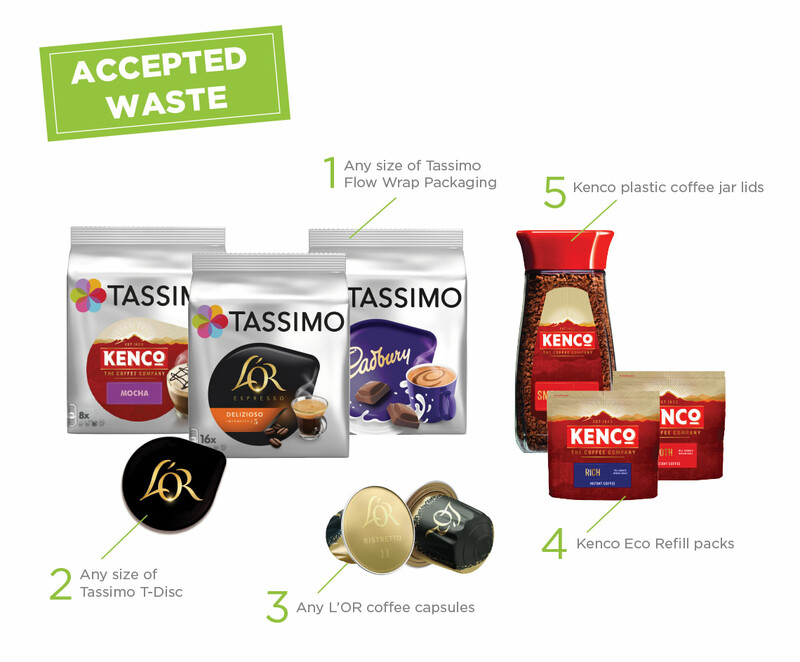 Pouches must be rinsed and not contain any food residues, read more on the Terracycle UK site. Plastics - household packaging plastic bottles, pots, tubs and trays should be placed in the plastics recycling container (blue skip). You can also recycle these items each week from home in your red bag. Plastic bags and polythene film are not collected as these can be recycled at carrier bag recycling bins at major supermarkets. Large plastic items such as washing up bowls, crates, boxes, patio furniture, garden plastic tubs etc. should be placed in the separate designated bay. See also pet food plastic packaging above. Plastics – large rigid plastics such as washing up bowls, crates, boxes, patio furniture, garden plastic tubs etc. are collected separately and should be placed at the designated recycling bay. Wood, timber - quality wood or wood based furniture but no fabric or glass attached please. Ask site staff if in doubt. Small amounts of cement bonded asbestos may be deposited at the site in accordance with the site rules and 'asbestos acceptance procedure', please contact the council for advice. This service is only available during weighbridge office opening hours. Residents must notify the weighbridge office and provide a council tax or utility bill statement to verify their address.